A beautiful floor is one of the first features people notice when they enter a room. Whether the flooring is wood, laminate or ceramic, proper installation and ongoing maintenance keep it looking beautiful. 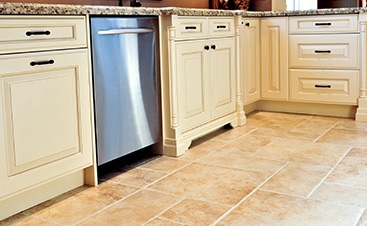 Flooring takes a beating all year round as people walk on it with dirty shoes and carry items into or out of the room. Fortunately, you do not have to do it all yourself. 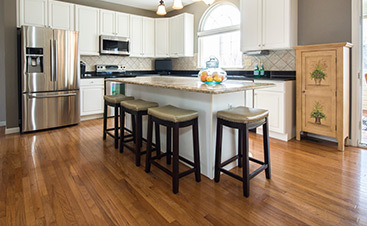 Consider six smart reasons to hire a NJ flooring professional. When flooring needs repair, you instantly notice the problem. And often floor damage can cause a hazardous situation. Nobody wants to face a trip and fall, whether you have the accident or it is someone visiting the house. The cost of accidents and injuries is far greater than the price of getting a floor fixed. A flooring expert knows how to repair all types of damage, large and small. And you will have the peace of mind that your floor is safe. A poorly installed floor is a bad investment. And often this happens when people try to do it themselves. The wrong installation techniques mean the floor will last for a fraction of its intended lifespan. And often the flooring comes lose or has other issues that are dangerous and expensive to fix. It makes more sense to invest in professional installation, knowing the floor will be done right and last for years to come. Did one of your bathroom flooring tiles break or start coming up due to excessive moisture? Do your living room floor look shoddy because of a broken wood plank? If you need a replacement tile or plank, simply call a local flooring pro. It can be impossible to match the installation and color on your own. An industry expert seamlessly gets the job done so the floor looks and functions like new. The appearance and functionality of a floor are only as good as the subflooring. While we might not see the subflooring, it plays a crucial role in supporting the tiles or hardwood floors that are being installed. And a rotting or crooked subfloor means the new flooring will wear faster and look unattractive. 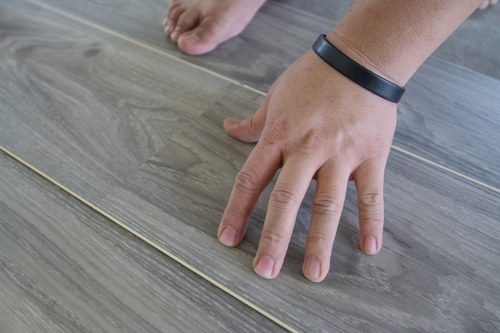 Always have a flooring pro check the quality of your subfloors before scheduling an installation. Many people believe a coat of paint completely changes the way a room or home looks. And flooring is another element that can totally transform a room or an entire house. Old flooring makes a house look dated. And if the floor is in poor condition, the house does not appear properly maintained. Having a fresh floor installed gives your house a fast facelift. For a minimal investment, you see a maximum return. 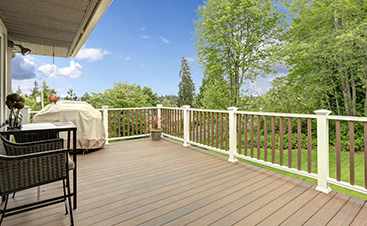 And if you want to sell the house, potential buyers instantly appreciate homes with quality flooring. A floor needs to be maintained to last for years and look good. A flooring pro can advise you on the smartest ways to keep your flooring looking great. And an expert also has the knowledge and equipment to keep hardwood floors looking fabulous. From refinishing the floors to fixing them, a local expert maintains your hardwood floors so they last a long time. Homeowners attempt do-it-yourself projects to save money or because they feel the work is easy. In most instances, the projects are harder than homeowners think and they spend more money than they intended. And if the work is done wrong, it costs more to hire a pro to fix it. Work with a professional every step of the way to get the gorgeous flooring you want.